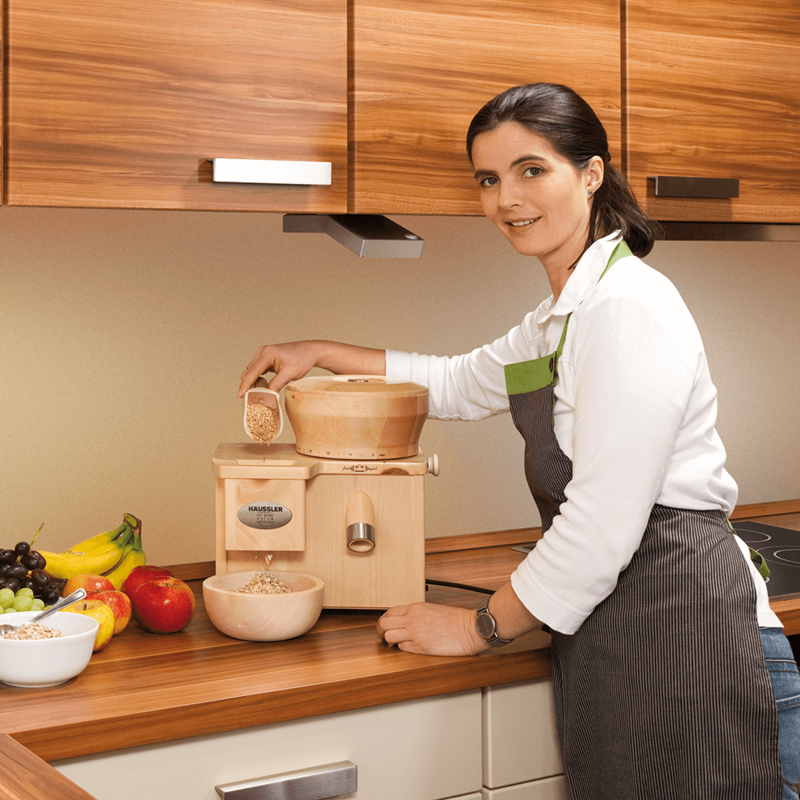 Our Paula combines two wonderful features at the same time: flaking and grinding. 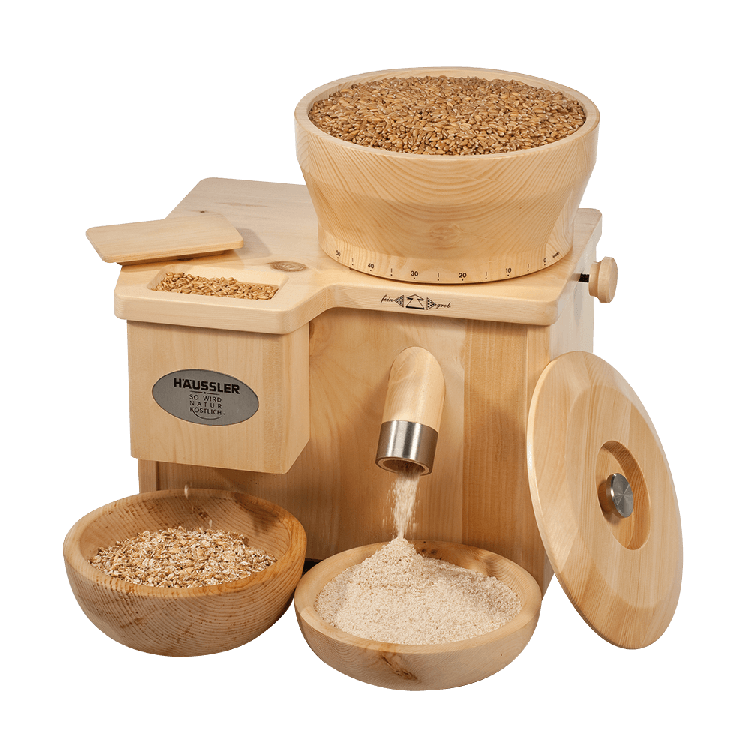 And with a modest space requirement. 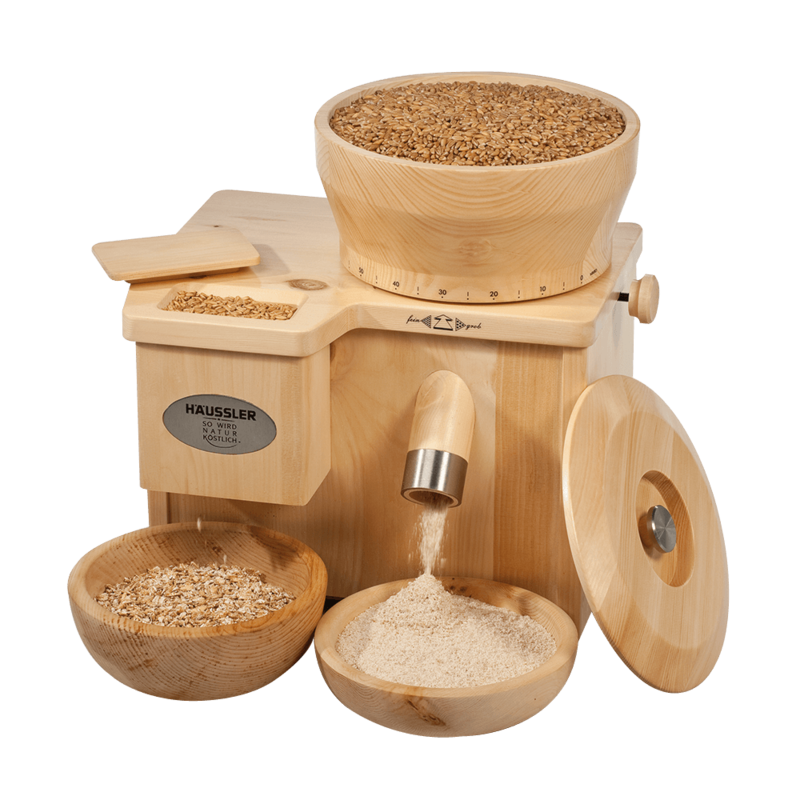 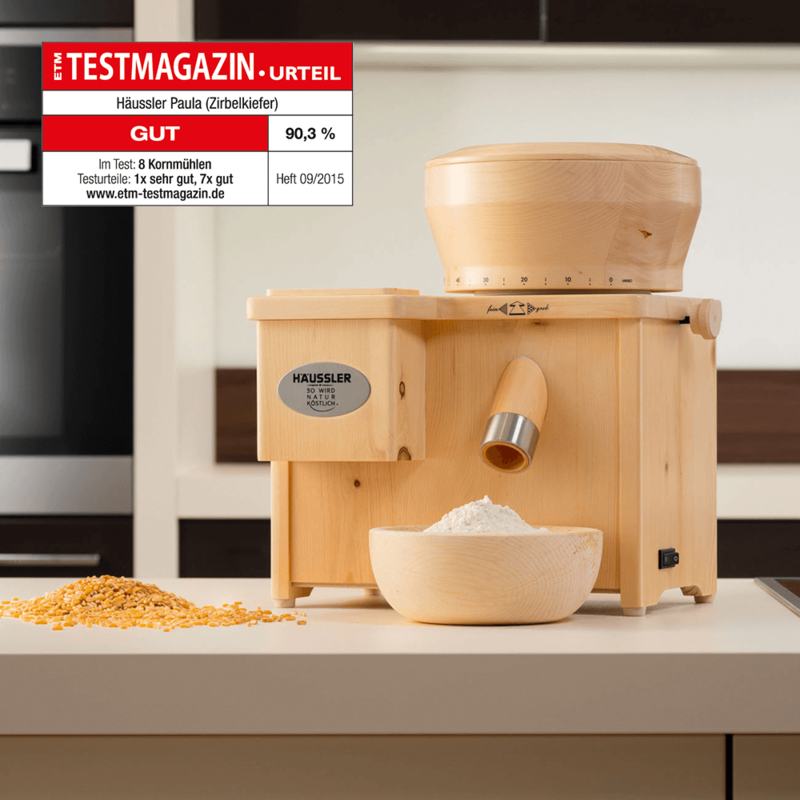 Equipped with the grinding convenience of Rosi and an additional motor for the flaking machine, you can, at the same time or one after the other, grind up to 6 kg of fine flour in an hour and roll 4 kg of wholemeal flakes. 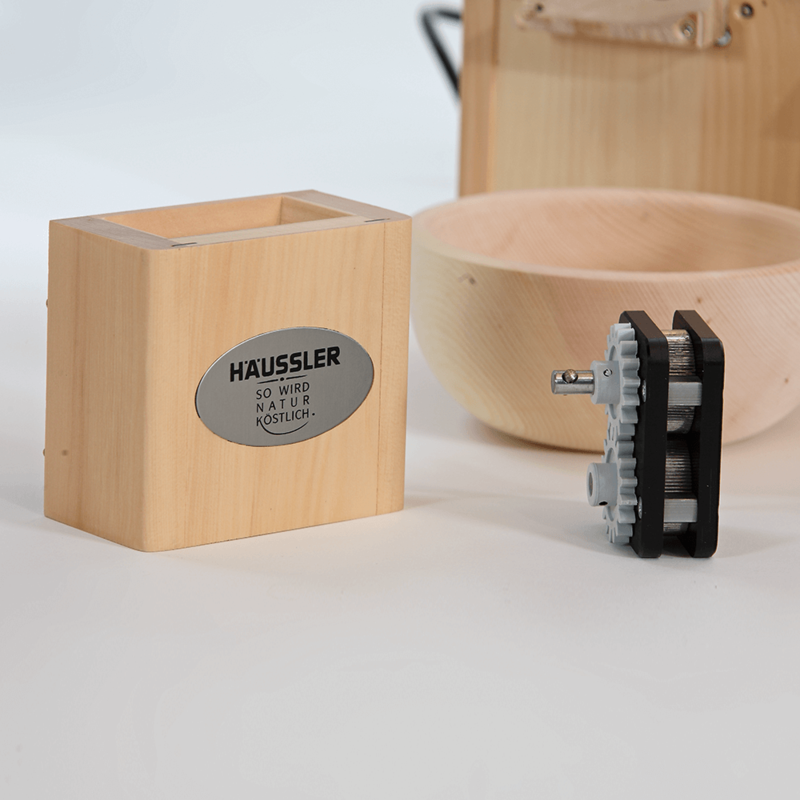 The flaker can be easily taken out and even cleaned in the dishwasher. 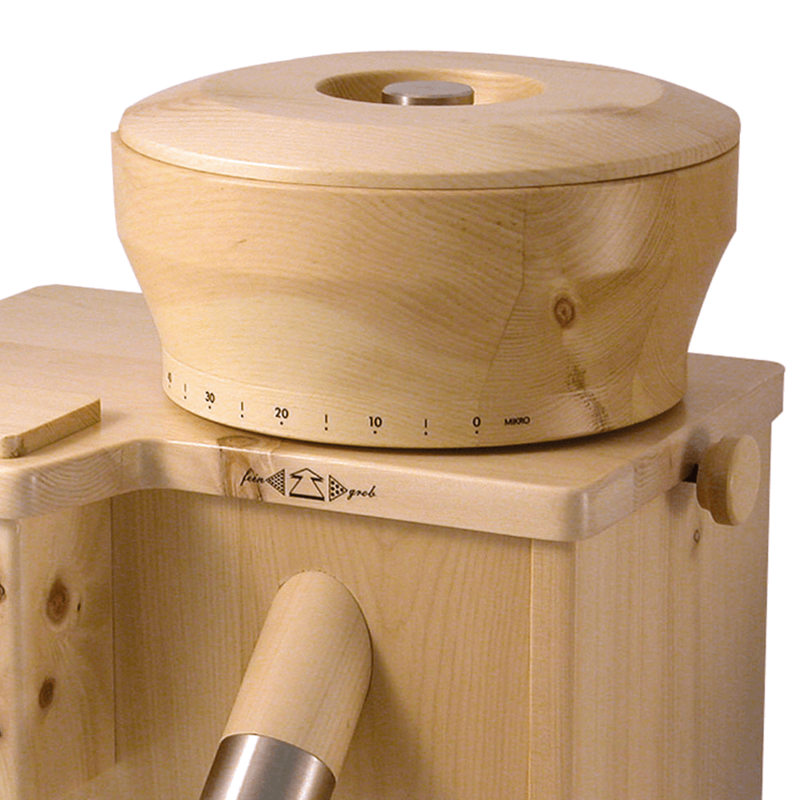 As with all of our stone pine wooden mills, the housing is treated with a water-based varnish and is mite-resistant due to its lightly ethereal scent.